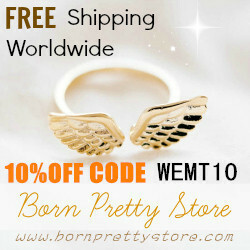 I've shopped several times from Bornpretty Store and every time I'm about to place an order, the only thing in mind is to choose something from a category that is still unexplored :) So what I did this time is to pick one or two items from different sections including Jewelry & Accessories, Nail Art, Makeup & Beauty and Hair Decoration. Color mixing in retro jewelry pieces is so fascinating me these days. 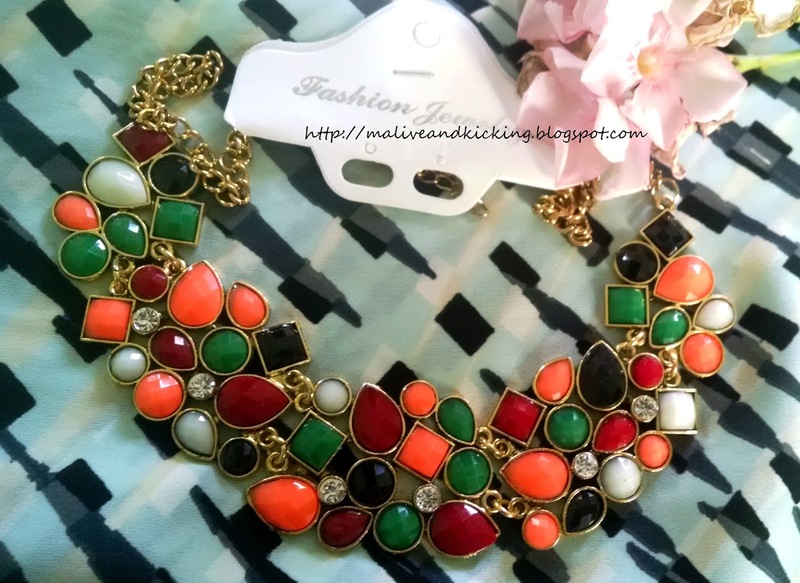 I loved this big necklace with an antiqued light gold finish that features colorful crystals in different shapes. Despite being so elaborate, the necklace is light weight and adds color to the life. Styling with formals, casuals, Indian or Western is entirely depends on occasion. If you love its design, but want the necklace in single color; Colorful Stone Necklace Retro Style Necklace Jewelry Decoration has three more choice of red, green and black colored stones that are equally adorable. 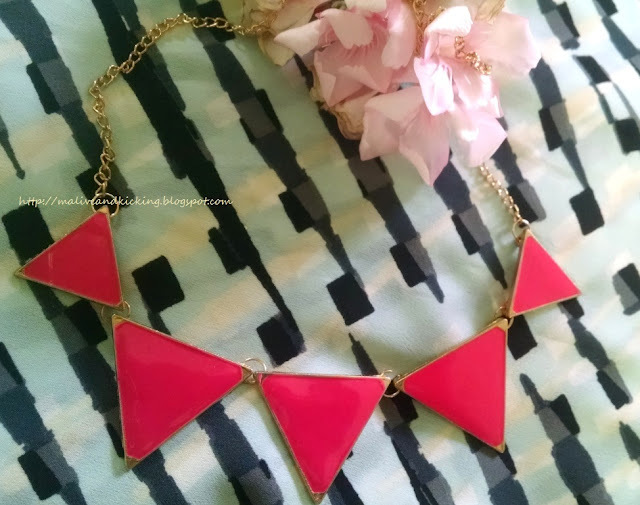 This plain fuschia pink necklace looked super cute to me for its geometric cuts. The lobster clasped triangular pieces look so flattering around your neck. This triangular pendant necklace has few color choices like Black, Green and Blue other than the Pink one. I enjoyed styling it with my monochrome dress for adding an instant pop of color. 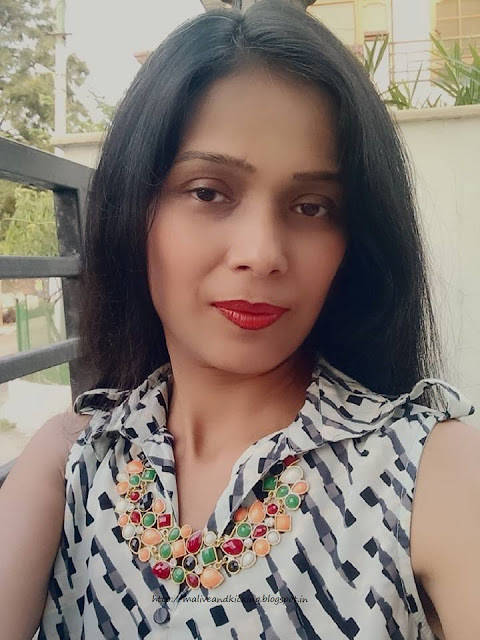 In my previous purchase from Bornpretty Store, I had got a gold toned multi-layered chain bracelet which earned me really good number of compliments from everyone. This time, I liked a bangle-patterned bracelet that's not in bright yellow tone of Golden, but a more alluring rose gold that I admire more. 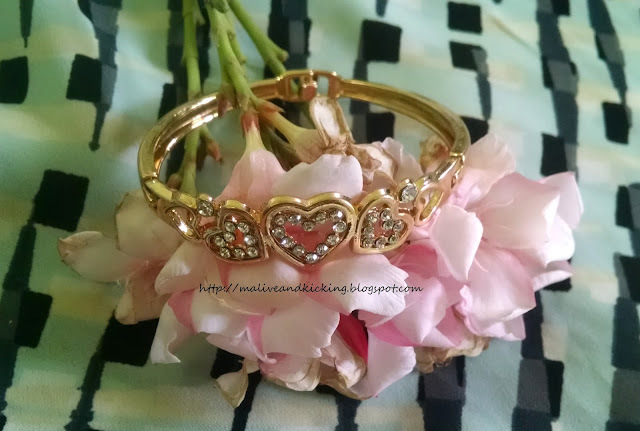 After these lovely picks from jewelry section, I digged the Nail Art section to get some basic nail care and nail art tools to make life easy. I got a Crescent shaped Nail Sanding File Buffer with Acrylic Gel Tips. It has definitely contributed in my routine nail care and is smooth to work with. Being new to nail art, I thought of getting a Nail Art Sticker Trimmer Tool. It not only helps to stick nail decals nicely, but also helps to push the cuticles back without hurting. Glad I chose this one. 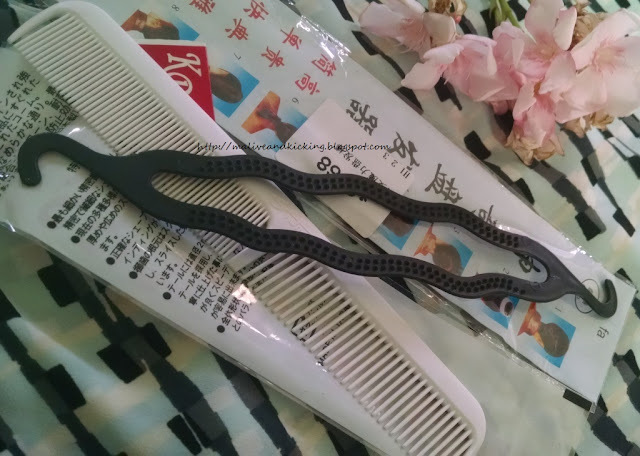 So here are the items I finally ordered... an Anti-Static Double Headed Comb made of unbreakable material for sectioning and styling my hair, an easy to use hair styling tool i.e. Magic Hair Bun Maker. It can give me the confidence of taming my long, wavy hair into an altogether a new look without any visit to professional salons. Next what I bought is truly a game changer. I've been noticing many stylists doing tutorials on getting a clean pouf for everyday look or party look. But not everyone has the time and skills to get everything right at the place. To avoid all that messy affair, I ordered a Hair Bump Styling Volumizer which is self-gripped hair tool to give straight silky hair a nice pouf. The pack contained the tools in two sizes and gets you party ready in a matter of few minutes creating many elegant hair styles. Another item in my wishlist was a makeup brush since very long. 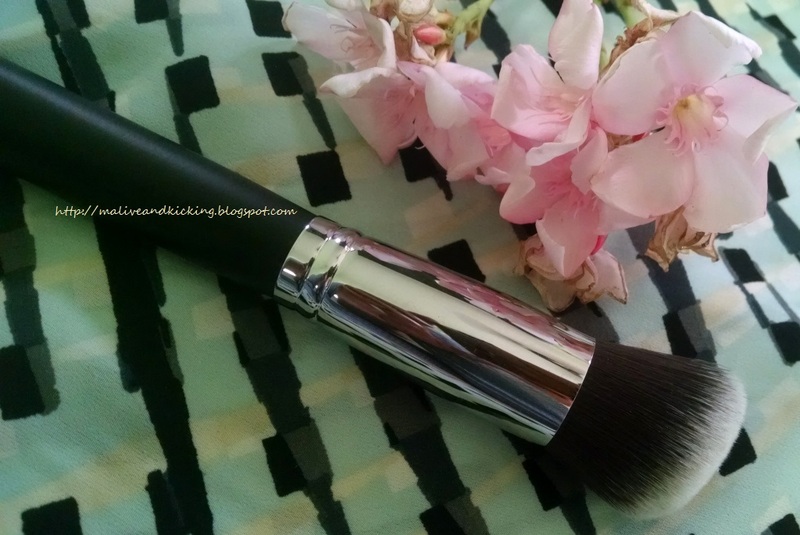 I purchased an Angled brush for easy and even application of makeup. It's so light and soft to touch. The brushes are available in four patterns i.e. flat, angled, round and tapered. The Professional Cosmetic Brush is said to be made of good quality Artificial Fiber and Goat Hair. 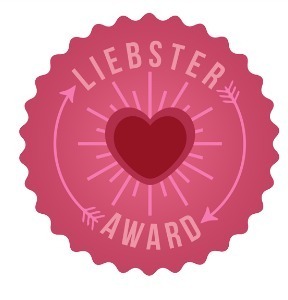 I feel I did a fantabulous job filling up my cart with great items from varied categories. 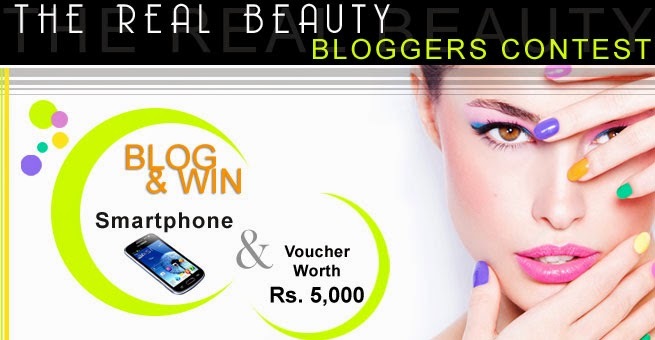 And why not, Bornpretty Store has wide array of makeup, accessories, clothing products in excellent quality. Its almost impossible to stop after one-time shopping experience. 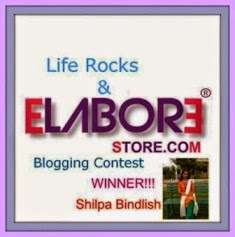 Worldwide Free Shipping and flexible payment options are also the reason to attract returning customers like me. I can't wait to style myself using this stuff and sharing my looks with you soon. The pink triangle necklace is so pretty.